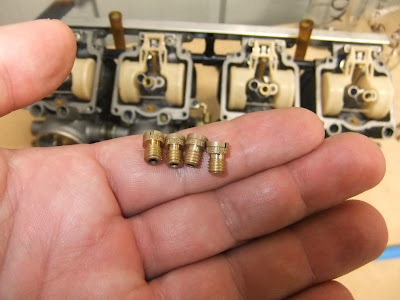 Below shows the floats, main jets (and emulsion tubes), pilot jets, mixture screws (with washers and O-rings) removed from the carb bodies. The carb components are removed in the first instance for inspection, and additionally as this allows for cleaning in solvent or an ultrasonic bath. 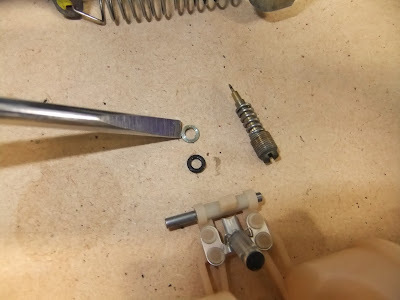 A close up of a washer and O-ring with their parent mixture screw and tensioner spring. Here we are checking that the washer and O-ring exist and that neither are past service life (scored or perished respectively). Here are all four mixture screw tension springs side by side for comparison. Number 3 has the top two coils missing and will be replaced. 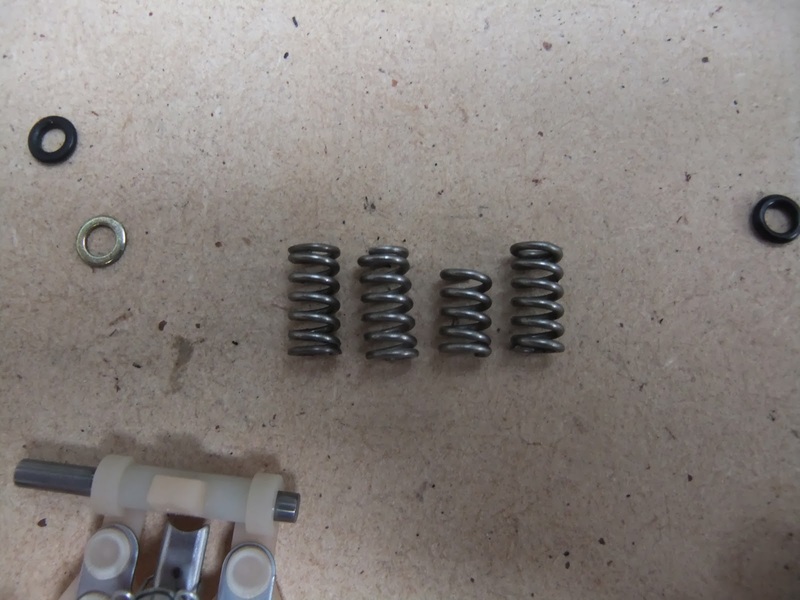 There is no way this spring can provide equivalent tension to the other three. The three mixture screws side by side for comparison. #1 is from a different carburetor. Note the shape of the nose cone, shape of shoulder, and overall height. This will be replaced as consistent settings of the idle screw 'turns out' will be impossible without 4 equivalent mixture screws. Inspect the main jet for it's size. Generally the size is stamped onto the crown either on top (as per the older Kawasaki's with Mikuni carburetors) or as here on the skirt with these Keihin jets. 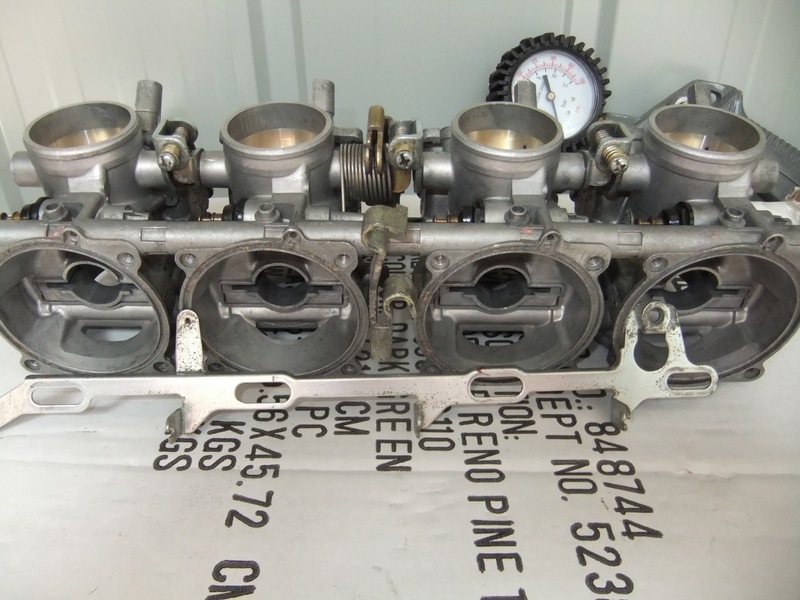 These are 135 (oversize) so someone has re-jetted these carbs. 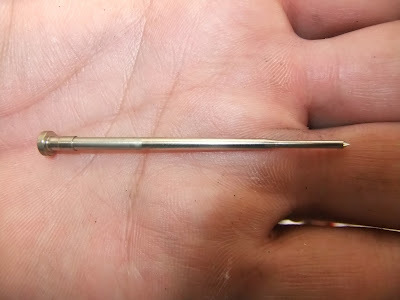 Inspecting the jet needle(s) for manufacturer markings (in this case non-standard needles have been used, stock needles are stamped N52U) and damage. 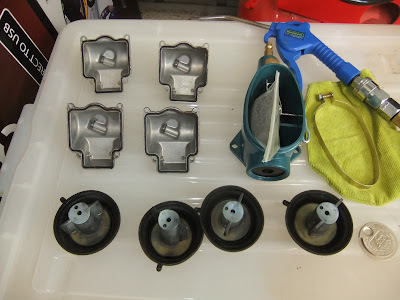 Here we have completed a gentle air drying of the vacuum diaphragms after cleaning with soapy water (no petroleum based degreasers \ solvents for rubber this thin). Previously these were inspected carefully for small tears or perishing. In general, diaphragms of any kind require replacing with even a small tear as vacuum will not be able to be retained. 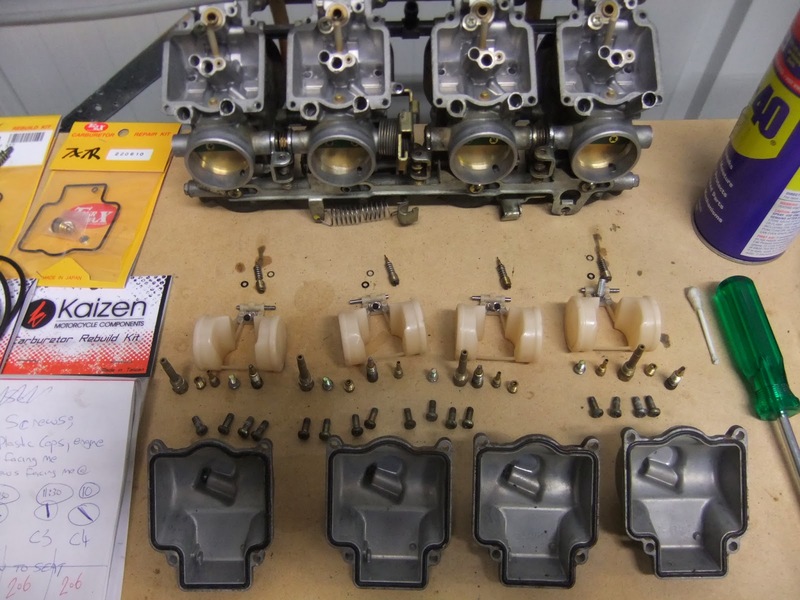 Carburetor bodies cleaned with solvent and blown out with compressed air. Springs have been lightly lubricated. I have a 93 ZX6 with similar model carbs. They are CVK36's. I am having trouble getting the needle jets to seal. It gurgles fuel past the main jet while idling. The carbs have been disassembled and thoroughly cleaned. 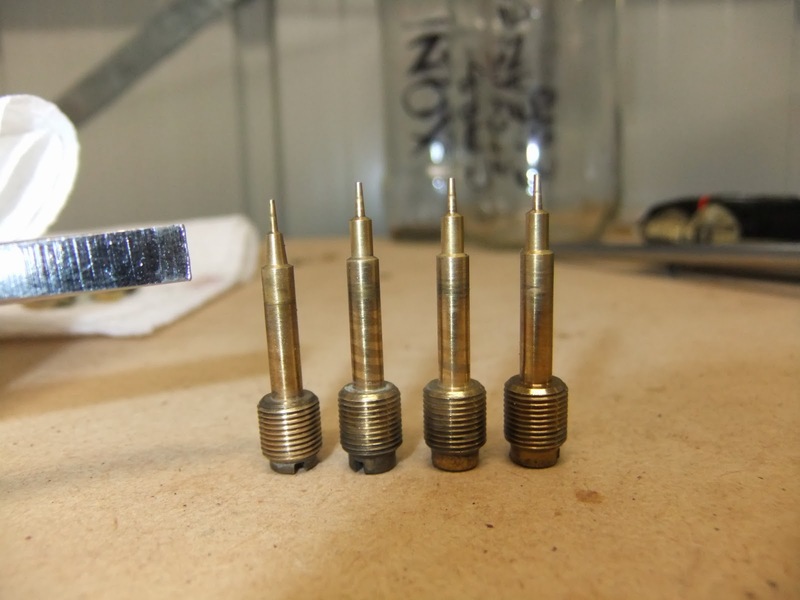 I am curious what the brass tubes are that the needle jet slides into. Being that the float bowls are angled to the main body I know they don't slide into the standard emulsion tube. I have not yet been able to find any information about the closed brass tube the needle jets slide into. They can be seen in your photographs between the main jet housing and the float needle. Any help or advice would be greatly appreciated. Thanks.